Metal Slitting Shears - We Stock A Variety Of Slitting Shears, Shop Today! 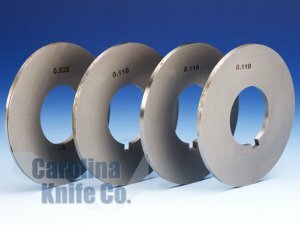 | Carolina Knife Co.
Metal Slitting Shears or Rotary Metal Slitting Shears slit coiled steel rolls into desired widths. These metal slitters are commonly used in auto-manufacturing and the steel stamping industries. 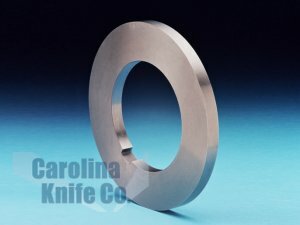 We can also custom fabricate these blades in house to your specifications.